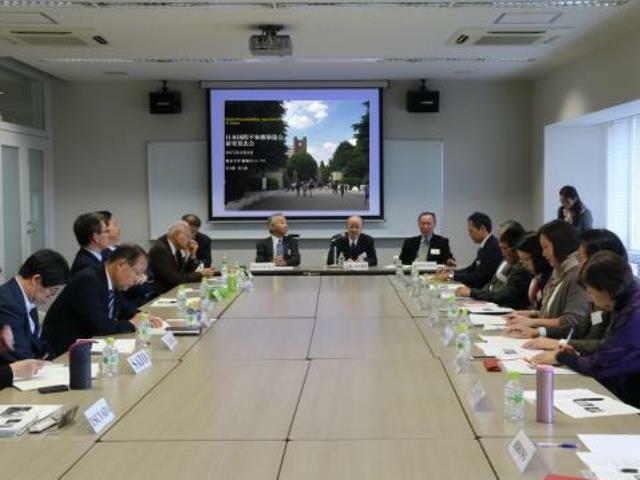 The Global Peacebuilding Association of Japan (GPAJ) and Academic Council on the United Nations System (ACUNS) jointly held a symposium and GPAJ’s first annual meeting on 2 December 2017 at the University of Tokyo. It was entitled “Peacebuilding: Role of International Community and Japan”. Prof. Yasunobu Sato of the University of Tokyo – the host institution, made the introductory remarks. Former Special Representative for the UN Secretary-General (SRSG) Mr. Yasushi Akashi then made opening remarks. 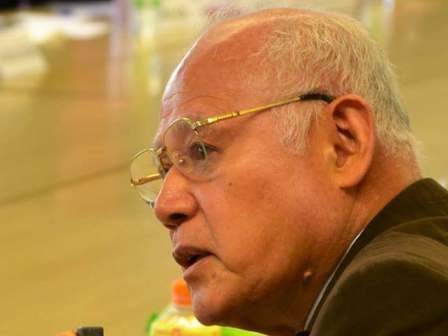 He firstly looked back on his activities as SRSG and Head of the United Nations Transitional Authority in Cambodia (UNTAC) and the days he spent with the president of GPAJ Prof. Sukehiro Hasegawa, who, at the time, was coordinating the United Nations Volunteers (UNV) electoral supervisors assigned to plan and administer general elections in Cambodia. In Japan’s historical participation in peacekeeping operation (PKO) deployed in Cambodia, two Japanese lost their lives. 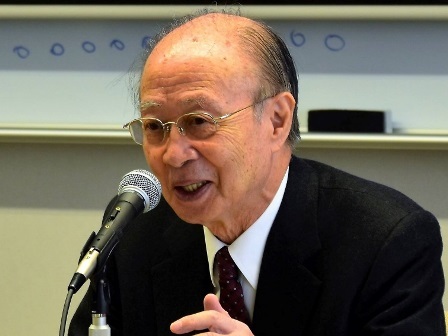 Mr. Akashi recalled his determination that he would continue operating the mission with all sectors until its completion, while the UNV headquarters requested its withdrawal from Cambodia if one more volunteer would be killed in the mission. Although they were able to complete their initial phase of mission, opinions were divided. Some insisted that there was no soil for democracy in Cambodia and one-year and half activity of UNTAC could make no difference. He responded “under this circumstance, we decided to try sowing the strong seeds of democracy, then let people of Cambodia grow it”. This led the mission to focus and endeavor on raising human rights NGOs in Cambodia. Mr. Akashi also mentioned democracy and peacebuilding. The 2000 Brahimi Report indicated the significance of peacebuilding and democracy, and it highlighted that implementation of elections alone could not accomplish democracy. He pointed out that “democracy can only develop over tens and hundreds of years”. Mr. Akashi expressed his hope for the establishment of GPAJ, especially in the new era where democracy faces the danger of degenerating into populism. The UN’s leading role on preventive diplomacy and mediation under the current Secretary-General António Guterres is important. However, there have been some critical opinions on this because it lacks concrete contents. Mr. Akashi recalled numerous diplomatic difficulties: Falklands (Malvinas) crisis, and the Middle East crises and highlighted the importance of prior mutual trust and timing in these situations. Lastly, Mr. Akashi expressed his concern that diplomacy today is not focused on substance but it is becoming more performance oriented. Thus, it is valuable that an association like GPAJ gives serious consideration to the limitation of current diplomacy. He ended with his expectation that the GPAJ Association can contribute not only to Japan’s diplomacy but also to the UN’s diplomacy. Ambassador Extraordinary and Plenipotentiary in charge of UNSC reform, human rights, TICAD, Representative of the Government of Japan for the International Peace and Stability, Mr. Yoshifumi Okamura, made a keynote speech. He mentioned that he would like to connect his two responsibilities: the Security Council and Africa, and wished to provide some examples based on his personal experiences to consider the UN’s work of peacekeeping and peacebuilding. Currently, over 70% of the matters that the Security Council deals with is about Africa, and 85% of the peacekeeping budget is spent for Africa. 86% of the peacekeeping personnel of the UN missions are in Africa. This gives a strong link between the Security Council and Africa. There are many cases where the reality in the field of peacekeeping is not reflected in the considerations at the Security Council (SC). In 1999-2000, Mr. Okamura was the chief political officer in the UN Mission in Kosovo (UNMIK). The mission was astounded when it received an order from the UN headquarters that all UN buildings should have Yugoslavian flag in order to follow territorial integrity principle according to the UNSC Resolution 1244. At the time, Kosovo Albanians were showing strong hostility against Serb people and related buildings were subject to be targeted by hand grenades and other weapons. New York (NY) also insisted UNMIK on paying every local expenditure in Serbian dinar, the currency that Kosovars had refused to use. Those orders were all but unrealistic. The criminals were at large, while the local police were not at the scene with the Serb forces’ withdrawal. It was urgent for UNMIK to provide policing. International police were asked to come. However, they soon proved to be incapable. Asked to collect weapons at the check points, officers of UN Police hesitated checking suspicious vehicles and halted only NGO vehicles. Evidently, they avoided any risk for their own safety. They had difficulty to investigate cases, as they did not understand the local language. Therefore, UNMIK changed its policy to establish local police with Albanian ex-police officers. That was faced by strong objection by NY, saying that Albanian police may persecute Serb people. At the end, the plan was accepted on the condition that Germany trains Albanian officers. The name UNMIK was also badly chosen by NY. When the mission started its operation, UN staff tried to make known its presence saying “We are UNMIK”. Then one day a local staff awkwardly said ‘in Albanian language MIK (“miq” in writing) means friend but UNMIK means … enemy!’. 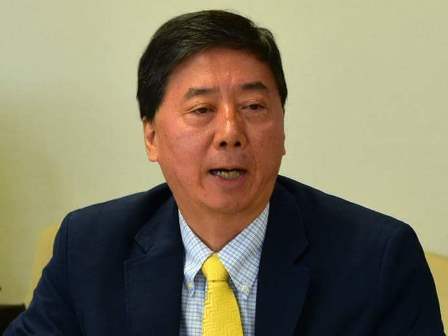 Mr. Okamura served as the Japanese Ambassador to Cote d’Ivoire from 2008 to 2011. At that time, the country was in the midst of political crisis and UN Operation in Cote d’Ivoire (UNOCI) was in operation. In Abidjan, white cars with the UN sign, painted in black, were all driving around proudly. Tension grew as the incumbent president refused to accept his defeat in the presidential elections and asked UNOCI to leave the country. At that moment, all white cars disappeared from the town, even when civilian protesters were attacked by the security forces. Mr. Okamura recognized that peacekeeping is an activity while peace is kept. At the final stage of the crisis, the Ambassador’s residence was attacked by mercenaries. Mr. Okamura was under siege with his local staff, and called the UN for rescue. After five hours of deliberation, NY decided to rescue them. The Special Representative for the Secretary-General (SRSG) called him and said he delivered the order to dispatch rescue. Even after that, there was no rescue from the UN. Mr. Okamura was finally rescued by French helicopters. Later he learned that the SRSG’s order was issued but the commander translated it into an operational command: to rescue them “only if the operation could find no obstacle.” There is a significant problem in the implementation of the mission. Troop Contributing Countries (TCCs) hesitate to deliver mandates at the risk of their personnel. Mr. Okamura finds the mission mandate of Protection of Civilians (PoC) tricky. He was the Deputy Permanent Representative while in NY, and had an opportunity to visit PoC sites in South Sudan as part of the Security Council’s mission. In 2013, when people rushed to its premises for protection, UN Mission in South Sudan (UNMISS) had no other choice but to let them in. However, those who were fighting against the government were also among them even carrying arms. Therefore, UNMISS was considered by the government to be providing refuge to the opponents. When Mr. Okamura took part in the Security Council’s mission to the east part of the Democratic Republic of the Congo (DRC), where the UN Organization Stabilization Mission in the Democratic Republic of the Congo (MONUSCO) troops are given robust mandates to target armed groups, one UN commander made a complaint to him. His soldiers chased members of the armed group. They just went back home to their village and became farmers. The UN under the PoC mandate could not target them anymore. Commanders on the ground were puzzled without clear-cut instruction from NY on whom they should fight against and whom they should protect. The UN Multidimensional Integrated Stabilization Mission in Mali (MINUSMA) is known to be the most dangerous mission, with a number of casualties. Mr. Okamura visited Tombouctou as a Security Council’s mission to find the dichotomy of terrorist groups and victims was too simplistic. Local people were left by Bamako without any security and public service. Armed groups are in fact providing security, food and education to the local population in those places. People are obliged to live with armed groups for their survival, and even to send their children as fighters. Ambassador Okamura also warned that the UN can be a target even if it is doing the right thing. Terrorist organizations are often engaging in drug transaction and human trafficking. The lack of law and order benefits their business. The UN comes in to provide or assist in the law and order, which makes the UN their enemy. Mr. Okamura proposed to make clear what the content of peacebuilding is. Kofi Annan’s Report “In Lager Freedom” pointed out that there was a “gaping hole” in the UN institutions, and recommended to create Peacebuilding Commission (PBC) to help countries in transition from conflict to lasting peace. After more than ten years’ work, the PBC failed to provide a platform for peacebuilding. One of the reasons is that the focus of peacebuilding is yet to be clarified. We often mix peacebuilding and humanitarian assistance. That makes confusion about what to do as priority to consolidate a foundation for peace. In his experience sitting inside the Security Council, Ambassador Okamura casted doubt about the ability of the Council to deal with conflict related matters. Its dysfunction is mainly due to the conflict of interests among permanent members (P5), as can be seen in the issue of Ukraine or Syria. However, with regard to Africa, P5 countries do not have major disagreements. Yet, the Security Council struggles to deliver peace and security. It may have something to do with the mode of discussion in NY. In most consultations, the Secretariat and the SRSG of the mission concerned are asked to make a report on the situation and 15 member States read out their pre-prepared papers making comments and questions. After the first round, some answers are provided by the Secretariat. There is no second round and the session is called to the end. In the 1 year and 3 months of his time, Mr. Okamura has never seen the Security Council consultations determine the actions to be taken or even the priorities. In fact, in dealing with African issues, most of the representatives present are not knowledgeable enough about the situation. Some ambassadors have never visited Africa in their career. He tried making useful remarks based on his experience, which was appreciated but did not lead to any change or to bring about a good solution. He advised to refrain from considering the Security Council, in spite of its power and authority, as the center of excellence for peacemaking. That would be a big illusion. 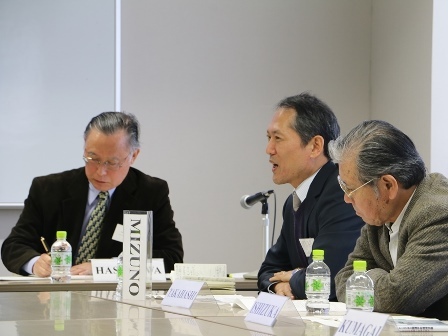 Mr. Okamura shared his opinion that it is wise not to expect too much on peacekeeping operations. Their mandates are unclear and resources are severely lacking. The decision-making process is very slow and ineffective. All important matters must be consulted with the Security Council. Therefore, peacekeeping is not capable of managing crisis. In addition, as TCCs are not willing to sacrifice their own soldiers, even less robust mandates are impossible to be delivered. He also acknowledged that there is a wall of sovereignty. The international community cannot intervene in internal matters of other States, and this principle remains very strong. People talk about the responsibility to protect (R2P). But if the receiving State refuses, this notion is nothing but a paper tiger. It is said that for crimes against humanity, States can intervene. However, the determination of whether a particular situation amount to a crime against humanity is to be made by the court. We need to find a way to overcome the wall of sovereignty. It is important not to follow unrealistic ideas. It is vital to consider workable recipes for peace and security. Japan can propose a recipe based on her achievement in Asian countries. Prof. Sukehiro Hasegawa, President of GPAJ, noted that Ambassador Okamura raised three key issues, namely (1) the problems faced in the field not fully understood at headquarters, (2) the role of peacebuilding, and (3) the malfunction of the Security Council, and invited comments by Mr. Akashi and other participants. 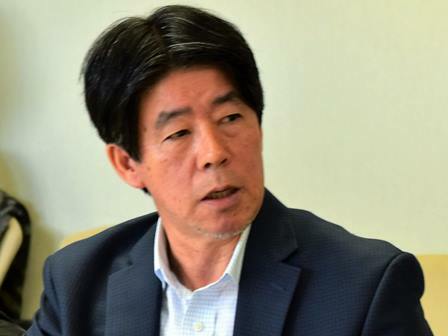 Mr. Yasushi Akashi commented that Ambassador Okamura’s speech was very powerful, and agreed that the division between the headquarters and the field has been problematic, although the gap has been filled to some extent. He recalled his experience that he was given the key on the UN side of the dual key system to decide when NATO should use air force. It was not a problem when the interest of the UN and NATO converged. However, if NATO used force, and the UN or UN humanitarian convoy got attacked, it made the UN cautious to authorize NATO’s use of force. Mr. Akashi shared his opinion that it would be impossible to resolve the friction between the headquarters and the field. New York often learns what happened in the field after the fact. In Yugoslavia, the UN could not do as much as it did in Cambodia in resolving this problem There were far too many SC resolutions on Yugoslavia. The UN Security Council seems to consider it important to just adopt resolutions out of frustration. He ended his remarks by stating that the issues that Mr. Okamura raised are relevant everywhere, but is especially relevant in the case of Africa. Prof. Yasuhiro Ueki of Sophia University asked Mr. Okamura for his opinion on the current UN Reform being undertaken by the UN Secretary-General António Guterres. He also asked how peacebuilding reform should be implemented. Mr. Ken Inoue, Senior Advisor at the Japan International Cooperation Agency (JICA), commented that Japan should have an approach to see the comprehensive picture of peacekeeping instead of reacting to requests. He then stated that peacebuilding has governance capacity and institution building. What is the basis on which Japan is building the foundation? Prof. Takaaki Mizuno of Kanda University of International Studies mentioned that protection of civilians can become political. In the former Yugoslavia, the US’s intervention had the US’s national interest as the priority. He asked for Mr. Okamura’s opinion on the relationship between humanitarian assistance and political agenda. Ambassador Yoshifumi Okamura responded that humanitarian assistance and peacebuilding are different in their reasons for actions. In Africa, people often don’t have trust in the State authority due to lack of functional government institutions. Institution building is to set a foundation for peace and stability in Africa. As for Secretary-General Guterres’ endeavor to change the UN system, he is trying to introduce a UNHCR-type operation. He is assigning tasks through the executive committee in order to take quick actions. He is also trying to dissolve silos in the UN. He is someone who delivers, but institutional reforms are challenging. Merging DPKO and DPA is easy to say but hard to be accepted because of the budget and posting issues. He needs to keep two Under Secretary-General (USG) posts to meet the requirement of P5. On the positive side, streamlining the parallel regional heads is to be appreciated. There is already some progress. There are more tasks related to institutions. It is also positive that Peacebuilding Support Office (PBSO) has come directly involved in the SG’s decision making. Institutional reform means building foundation for peace. Japan is not making much personnel contributions. Japan cannot send police personnel. Currently only four military personnel are assigned to peace operations. On the other hand, there may be a lot for Japan to contribute in peacebuilding. Institution building and empowerment of the people are the key for that. Politicization of humanitarian assistance happens. In some cases, providing assistance to the population in need means helping one side of the conflict parties. With the shift of the nature of the conflict from inter-State to intra-State, there are new issues. Where a conflict is fought between the government and anti-government party, humanitarian assistance gets politicized. If humanitarian assistance is provided to the anti-government side, there is a wall of sovereignty. If the UN takes some kind of action, it becomes a party and can be seen as having interest in the matter. 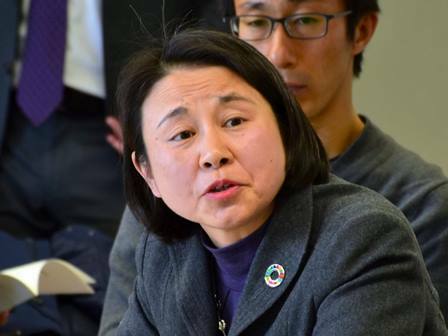 Prof. Mariko Shoji of Kyoai University introduced the Academic Council on the UN System (ACUNS) and mentioned ACUNS`s 2018 annual meeting will address the issues of human rights, migration, and global governance. 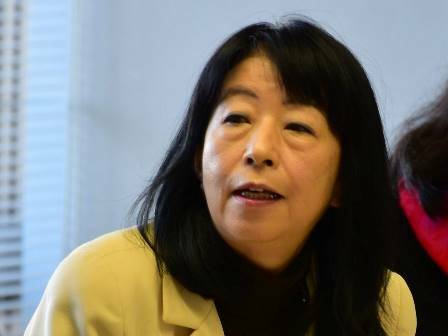 Prof. Misako Takizawa of Obirin University asked for the Ambassador’s opinion on the effectiveness of African Union (AU)-led missions. She also asked whether there is communication between the Secretary-Generals of the UN and of the AU. 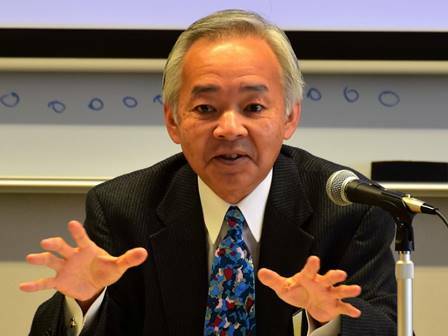 Prof. Tadanori Inomata, Strategic Advisor at Nagasaki University, stated that: crisis management should not be a sole objective of UN peace operations. While the crisis is managed by PKOs, e.g. cease-fire giving breathing space for the parties to the conflict, the peace operations should address root causes of the conflict and remove them to construct a basis for sustainable peace. It is vital to have Sustainable Development Goals (SDGs) in their core, by which to prevent both development and re-escalation of crisis. All these tasks can be achieved only with the involvement of multi-stakeholders, e.g. Civil Society Organizations and NGOs. It is therefore important to map out who is doing what, and where, and count the resources engaged. The Secretary-General must link policies and resources. Without the data of resources, his reform is impossible. Ambassador Okamura responded that the local ownership is very important. It is easier to respond to needs in the field closer to the field. Therefore, the active role of the AU is to be appreciated. At the same time, it is questionable whether, inside the AU, the resource is effectively mobilized. We need to consider how to support the AU’s effort. Institution building requires money. Security, justice and corrections get insufficient fund. But most of the money from the international community is consumed by humanitarian assistance-related organizations. There is no UN institution that is tasked with institution building. That task, though indicated by SDG 16, is to be delivered by the UN somehow. In concluding the morning session, the moderator, Prof. Hasegawa made two points. The first point was what Ambassador Okamura and others had noted, namely the importance of respecting the field perspective concerning the priorities and values of communities that were different from one to another. The UN peace operations need to respond to each situation differently to meet specific local requirements. The other point was the need to identify clearly the telos of actions. It is critically important that the aim or a motif correspond justifiably to an action that is taken to make it meaningful. If the aim of an action is peacekeeping, the action should be to keep peace and maintain law and order. If the aim is peacebuilding, the action should help build a peaceful nation. Japan had sent to South Sudan the self-defense forces personnel who worked as an engineering group to assist in peace and nation building. Just as the Timorese leaders did, the South Sudanese leaders should have maintained peace and stability in order to benefit from the Japanese assistance in building infrastructure facilities of the nascent country. But, instead of working together to build their country, national and tribal leaders have been engaged in armed conflicts for personal rivalry. Japan should have made it clear that the defense forces personnel were withdrawn for they could not have contributed more in such a volatile situation. The South Sudanese leaders` mindset had to change as the leaders of Timor-Leste did. Peace and nation building of the country cannot be done by foreign intervention unless the national leaders are willing to change their mindset and mentality.